For over 30 years Hospitality Finder has been providing VIP corporate hospitality packages for a range of sports events, including Formula One. In addition to providing high-end luxury packages and more affordable packages for F1 junkies on a budget, Hospitality Finder allows clients to customise their package to make it more relevant for their company and their guests. Formula One GP corporate hospitality packages provide clients with VIP access to some of the most exclusive events and facilities at each race, including the renowned Formula One Paddock Club. The Formula 1 Paddock Club is right in the middle of all the action at each race. VIP guests can get up and close to all the action while enjoying the ultimate in luxury and comfort. The package includes access to the circuit, a complimentary bar, pit lane walks, viewing from the pit building and entertainment. Formula 1 Paddock Club packages are available at most of the races on the calendar. Some grand prix, however, have additional options. 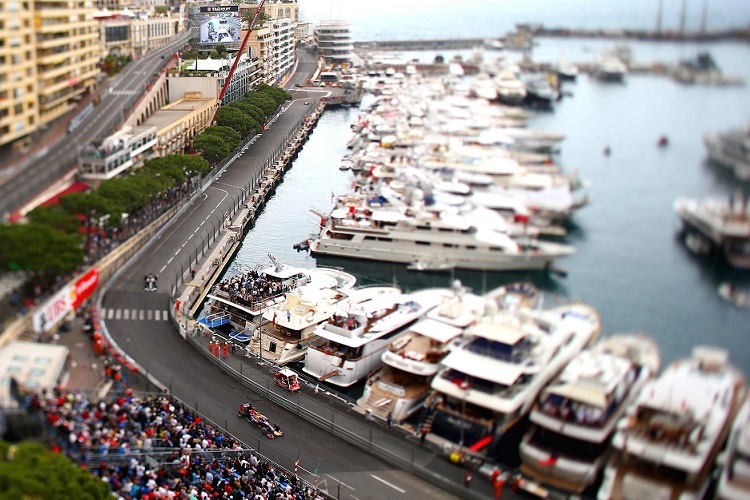 If time is of the essence then the Monaco Day Trip is for you. VIP treatments starts even before you take off, all meals are provided, private coach transfers will ferry to the action, where you can enjoy the race from luxury hospitality terraces and there are complimentary bars at the race and on the flight. There are three St Devote Terrace packages – Silver, Gold and Platinum – with three different viewing opportunities. Packages include an open champagne bar, finger foods and buffet lunch. There are two Trackside Yacht packages – the well-appointed 31m yacht and the luxury 45m yacht. Packages include an all-day complimentary champagne bar, gourmet meals and snacks, speed boat transfers and the chance to pick an F1 celebrity’s brain. Enjoy views of the six most exciting corners of the circuit at Silverstone Six. The package includes a full complimentary bar, access to a Masterchef chef’s table and official souvenir programme. The Brooklands Suite provides elevated views of the start/finish. The package includes VIP access, admission to the circuit, complimentary bar and gourmet chef’s table. Woodcote Suites provides an intimate and informal setting from which you can catch some of the race’s choicest moments. The package includes an open bar, trackside viewing, VIP access, seats in the Wellington Bridge Grandstand, gourmet meals and imported French wine. Club Suites gets you as close to the first couple of turns of the race as possible without actually being on the track. The package includes access to a 5-star dining suite, outdoor viewing area, complimentary open bar and access to the F1 Village and entertainment zones. The Yas Viceroy Hospitality Suite gives VIP guests up-high views from a balcony as well as a private lounge and bar area. The package includes gourmet meals, complimentary bars, access to a rooftop bar and pool, the chance to quiz an F1 celebrity and access to the post-race concert. The Luxury Yacht 2-Day Package provides ultimate luxury from the heart of the circuit. The package includes VIP access, 4-course lunches, champagne at a complimentary bar, access to the post-race concert and souvenir programme and goodie bag. By simply providing us a few details, we can help you build a tailor made F1 VIP package. Let us know the race(s) you are interested in, size of your party and estimated budget and let us take care of the rest! Check our What to Expect Section for further information or for other races check out our F1 Hospitality Locations page.